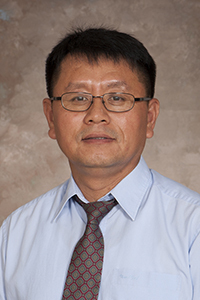 Dr. Young Seob Son received a Ph.D. in economics from the University of Memphis and a Master of Science from Iowa State University and completed the Postdoctoral Bridge Program at the University of Florida. He teaches statistical and quantitative analysis, managerial finance and derivatives and risk management. His research is published in the journals of Environmental Economics and Management, Global Business and Finance Review and Multinational Business Review.